In what is believed to be the worst ever hot air balloon accident in U.S. history, 16 people including the pilot were killed in Texas when the balloon crashed into a live electrical wire, burst into flames and crashed to the ground. The fatal crash is being investigated by the Federal Aviation Administration (FAA) and the National Transportation Safety Board (NTSB). News outlets reported the pilot had four prior driving under the influence convictions and a slew of customer complaints, mostly related to customer service problems. There was, however, one previous personal injury lawsuit that was ultimately settled involving eight passengers who suffered various injuries after the pilot reportedly crash-landed a balloon. Those who know the pilot say that while he was a recovering alcoholic, he was a safe and experienced pilot who was not reckless with the lives of his customers. At Associates and Bruce L. Scheiner, Attorneys for the Injured, our experienced wrongful death attorneys know that in most other kinds of aviation accidents, there is a substantial amount of case law that establishes who can be held liable and what type of compensation victims and surviving family members can expect to receive. However with hot air balloon accidents, liability isn’t as clear. 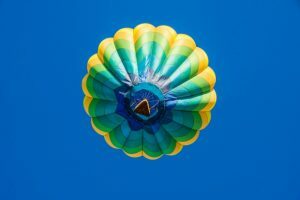 Technically, hot air balloons are considered “aircraft.” However, they aren’t the kind of aircraft that are a part of our everyday lives, and that means accidents are less frequent – and thus court cases are less common. Usually, when people climb aboard a hot air balloon, it’s a form of recreation. Balloon accidents are more complicated than other forms of aviation accidents because they are often seen as equal parts human operation and acts of God. That is, while you do need an experienced and licensed pilot to operate one, safety is also going to be affected by changes in the wind and other weather conditions. Although data on hot air balloon crashes is scant, one study reveals that from 2000 to 2011, there were 78 hot air balloon crashes that resulted in 91 serious personal injuries. In those cases, 43 involved balloons colliding with fixed objects – most commonly, trees and power lines. It may be possible in some situations to assert liability against the utility company (in cases where a balloon strikes a power line). However, one would have to prove the company was liable for failure to properly insulate, place or de-energize their wires. Such cases certainly would not be a given. Although power lines may be a common risk as far as balloons are concerned, contact between power lines and balloons are not a common enough occurrence to establish a clear legal duty. In fact, the Illinois case of Coleman v. Windy City Balloon Port held that power line companies owe not duty of care to warn those in balloons of the known danger posed by live power lines. It’s almost certain in these cases that whoever owned or operates a balloon involved in a crash will be the subject of some litigation. But another factor that will likely come into play is liability waivers. The extent to which participants signed away the right to file a lawsuit will need to be considered, though it should be noted that the existence of a liability waiver is not an absolute bar to recovery of damages. An experienced personal injury lawyer can help you fully explore your options.